I was looking for make-up I can wear during formal events. The type that beautifully transforms your skin from average to nearly flawless if not flawless at all. It's no secret that my favorite go-to make-up brand is Shu Uemura. I guess it's because I attended their make-up classes in their Rockwell atelier a few years ago and understood how their products work and how they work well on a person's skin. During our recent trip to Duty Free Philippines, I couldn't resist gravitating towards the Shu Uemura counter (as usual) and asked about make-up I can use for formal events. After they chose the right shade for me and asked about my skin type, we hied off to the ultra-glam hollywood-ish mirror with the lights on and sat on the directors chair that proudly display the brand's name and let them work their magic. What I love about the artists at Shu Uemura is that they are professional, approachable and very personable. Honestly, I've never met an artist who worked for Shu Uemura who didn't have a great personality. It's a major plus since, sometimes, hours are spent in the make-up chair and if the artist doesn't have a good personality to go with their skills, it's a major turn-off. 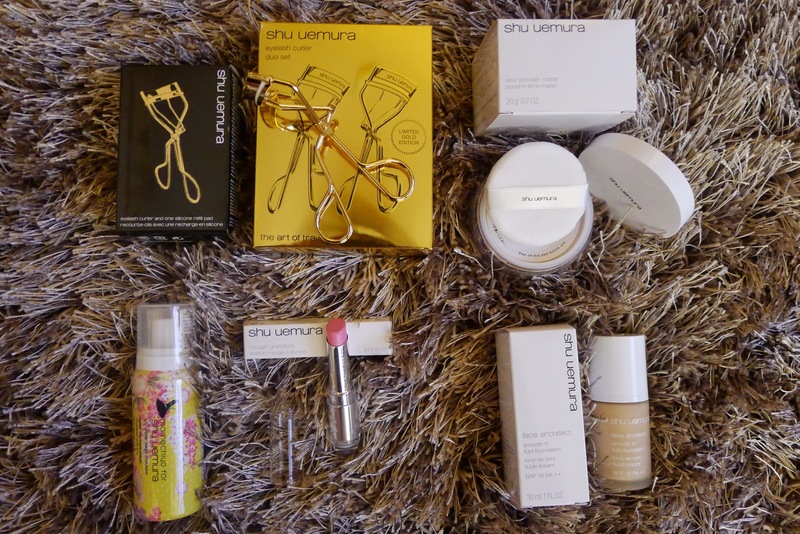 I bought the Shu Uemura eyelash curler duo set in limited gold edition. Why buy two? Well, there's a story behind this too. 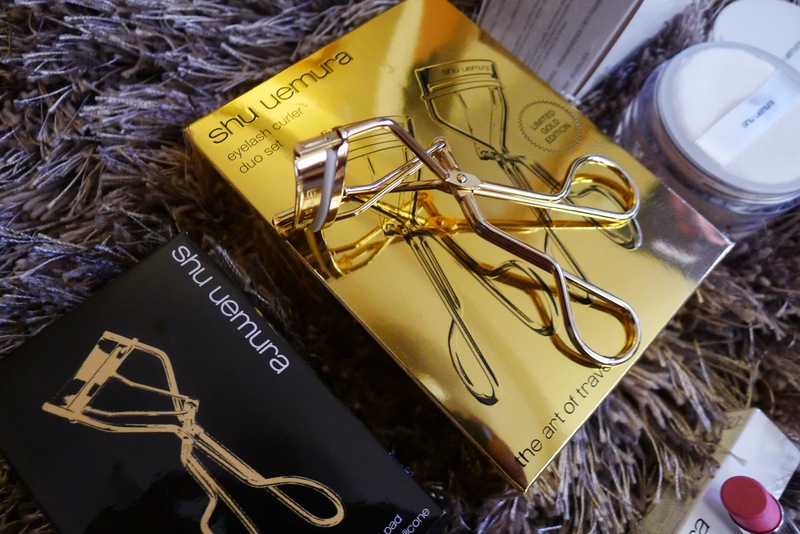 When I first purchased my Shu Uemura eye lash curler, of course we all know that aside from the silicone that is attached to the eyelash curler, it also comes with an extra silicone pad. When I finally used up both the pads, I went to the store and asked if I can buy refills. Apparently, they do not sell refills. I actually needed just one but when I found out that this duo set in limited gold edition is just $44. I got myself a set! That's a good deal! 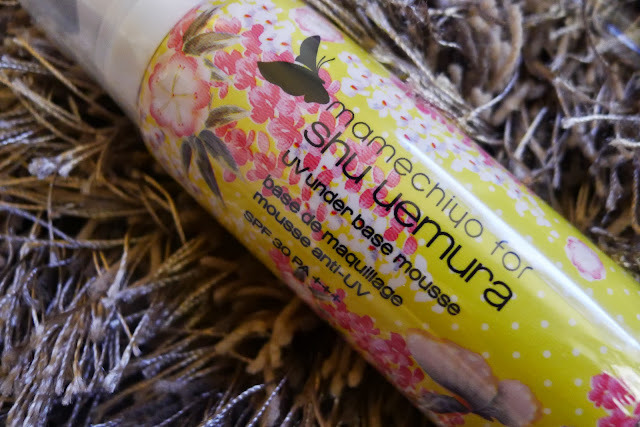 I also bought the Shu Uemura matte face powder (in 5YR medium light). It is applied by using either the puff (that comes with the powder) or a face powder brush to spread powder smoothly and evenly from center of the face outward. Personally, I prefer using a brush, It sets lightly and naturally. Now, here's the foundation that does the magic. 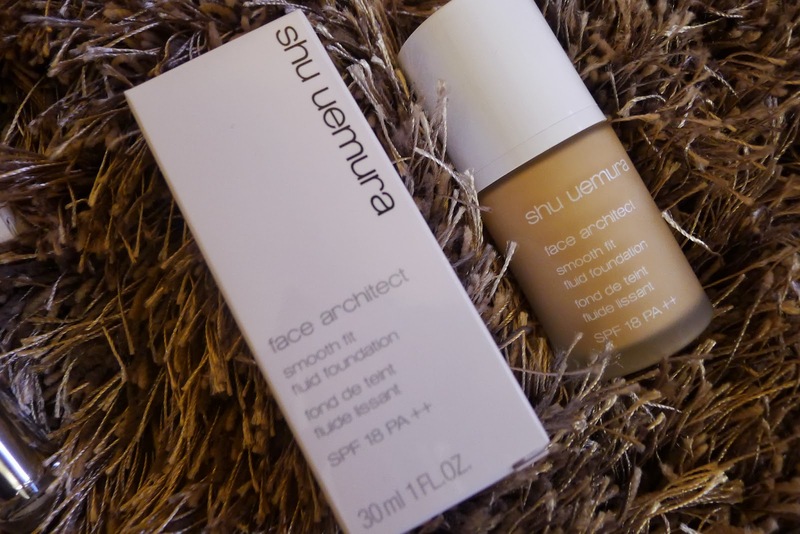 Shu Uemura's face architect smooth fit foundation with SPF 18 PA ++. It gives great coverage with a natural look. The pores have officially gone on vacation and I hope it's a long one! 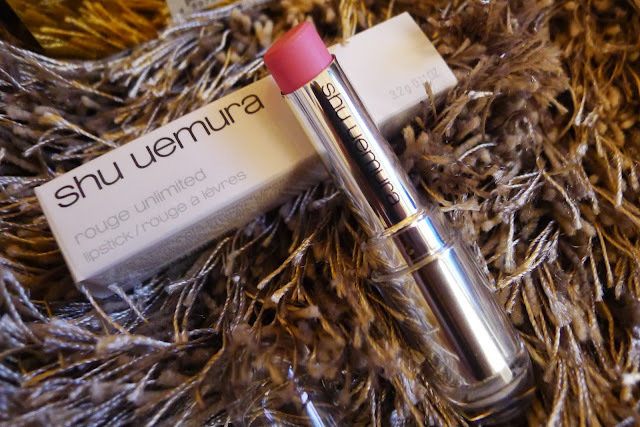 I usually go for coral/orange shades when it comes to lipsticks, but when the artist tried this particular pink shade (Shu Uemura rouge unlimited lipstick in PK 325). Pink is my new color! After prepping the skin (washing your face, applying mosturizer and sunscreen), my best bet to date for a primer is Shu Uemura's UV under base mousse. This sets the face for make-up that adheres well and lasts longer. Try out Shu Uemura's make-up line at Duty Free Philippines and yes, sit on their beauty chairs in front of the ultra glam mirror with the lights on, and and let the artists at Shu Uemura work their magic!